Whilst we were away in France I had a break from the kids and the thick snow proof layers and booked a spa morning in Avoriaz. Myself and the other three ladies left the kids with their daddies and headed to the Deep Nature Spa. We went on our penultimate day so we could really make the most of our relaxation morning. The last time I had a massage was when I was pregnant with Athena so over two and a half years ago! I desperately needed one especially after carrying Arlo around all the time but sadly it’s not something I can afford to treat myself to on maternity pay so when Ocean finance got in touch to see what I would treat myself to if I had to have a relaxing day it was an easy decision! After leaving the kids layered up and armed with sledges we made our way into the changing rooms to get undressed and into our thick fluffy robes and flip flops, then headed to the relaxation room for some herbal tea and to admire the view out across the Alps. It was spectacular and the views were even better outside from the hot tub! We turned the bubbles up and sat outside in zero degree temperatures with jets helping to soothe our muscles. We were also interviewed by a French TV crew who happened to be filming the spa that day for a promotional show which thank goodness we’ll never have to watch. 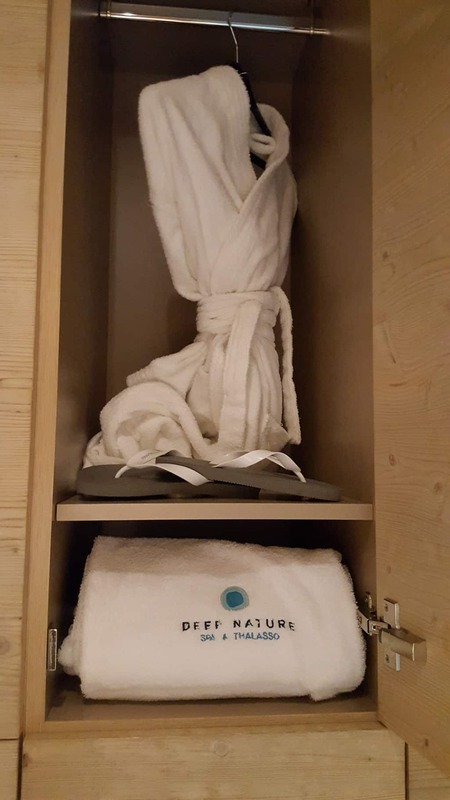 After experiencing a rainforest shower and a little spell in the sauna it was time for my massage. I put the paper pants on (so attractive) and hopped up onto the heated bed. I kept quiet and almost drifted off whilst my masseuse worked her magic on me, with that quintessential ‘relaxation’ sounds in the background, pan pipes and tinkly piano music, you know the type! It was so quiet whilst we were there we pretty much had the place to ourselves! I guess most people were out on the slopes and would head in in the afternoon for their relaxation sessions! 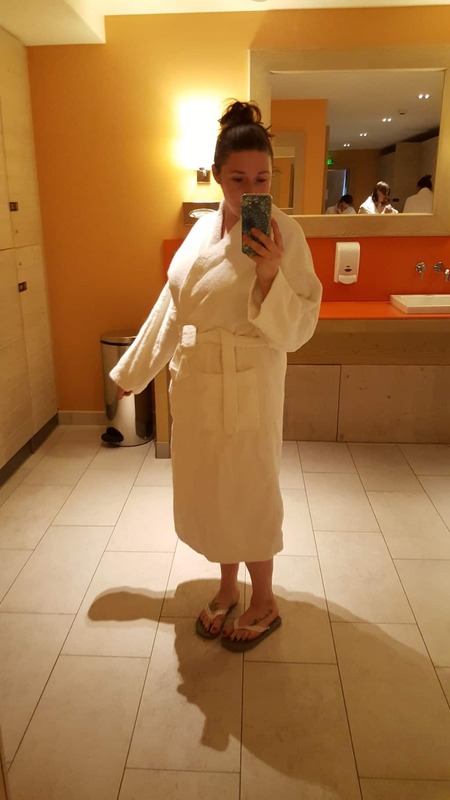 I felt really chilled out afterwards, and got back into the hot tub for some final relaxation before a hot shower and a lovely alfresco lunch! A massage is definitely something I should treat myself to more I think, I’m going to aim for one every six months! This post is part of the ‘Relax with Ocean’ campaign. All words and opinions are my own.